From Custard Creams to Afternoon Tea? Feel like a Goddess on Mother’s Day? Bestselling author Roisin Meaney, has just published her fifteenth novel, ‘The Anniversary’, despite suffering from the debilitating condition chronic Insomnia. According to the Health Service Executive (HSE) website, Insomnia is difficulty falling or staying asleep for long enough to feel refreshed the next morning, some of the side effects are feeling tired, lack of concentration, irritability and not being able to mentally or physically function effectively for normal daily routines. Roisin, who has lived in Limerick most of her life, has had insomnia for more than ten years, and has tried every type of exercise and alternative remedy to have a full nights slumber. “I’ve meditated, I’ve lain on a yantra mat, I’ve done yoga, I’ve listened to whale music, I’ve taken supplements that are known for sleep inducing properties… you name it, I’ve done it, or swallowed it. “I take half a sleeping tablet that I buy over the counter in Spanish chemists. After trying a gazillion other remedies, alternative and otherwise, this is the only one that works. Every few nights I don’t take it, and I don’t sleep,” said Roisin. 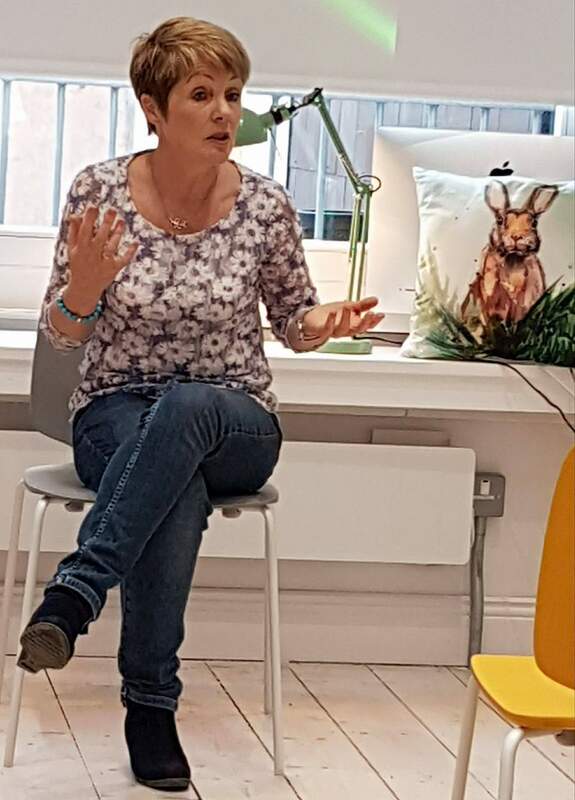 Despite having Insomnia, Roisin still manages to keep her busy routine of writing daily, and all that being a modern successful author entails, such as book readings, speaking at book festivals, interviews for television, radio, newspapers and keeping her social media up to date as well as replying to fans of her books. Though she has tried to structure a nap into her daily routine it has not worked. “No matter how tired I feel I seem incapable of napping. I so envy folk who can grab half an hour of sleep whenever they want. Thankfully, I’m still producing a novel a year. Of course, they might be better novels if I slept well, but that’s for another day,” joked Roisin. ‘The Anniversary’ which is now available in bookshops, centres around a couple, Lily and Charlie, who split up four years earlier and who are coming together to spend a weekend in the house where Lily grew up, and where they spent summer holidays when the children were small. Accompanying them are their respective new partners, their two adult children and their daughter’s partner. Last October Roisin purchased a small cottage in Miltown Malbay in Clare, where her cat has also settled in and she goes for regular early morning walks on the beaches.